Have you ever told yourself that having a toned look is almost impossible when you have to look after your family? You prefer cooking things that your family loves to eat. You denied yourself your “Me Time” to take care of your responsibilities at work and home. While the spirit of every woman in India needs to be saluted, here is why I want you to pay a little more attention to yourself and be the idol fitness role model for your family. A survey conducted recently showed that 70% of the Indian women are deficient in protein intake! Protein is the building block of muscle mass, healthy hair, skin and nails so its deficiency leads to higher fat % as well as skin and hair problems to say the least. Though we have a diverse choice of foods to choose from, most of our diets in India are heavily bent towards the carbohydrates, thus creating a big dent on the daily protein intake. Needless to say, most of us seem to observe looming fatigue and with the weariness from the daily life chaos seemed to leave very little room to consider working out. We appear to be on a constant lookout for the perfect, magical even, ingredient that would help us get fitness back on track, without asking us to give up on what we love the most: Food! That is when I came across OZiva. Most of the protein supplements available in the retail stores have very less protein content – less than 10gms per scoop. 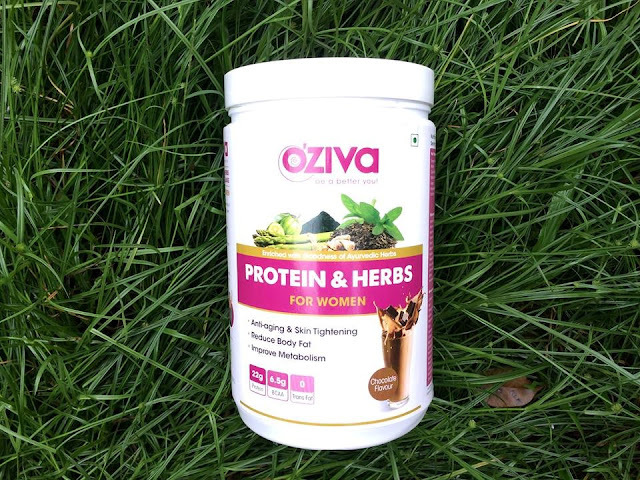 OZiva Protein and Herbs provides almost 3 times the amount of protein when compared – making it far more convenient to meet the daily protein requirement. 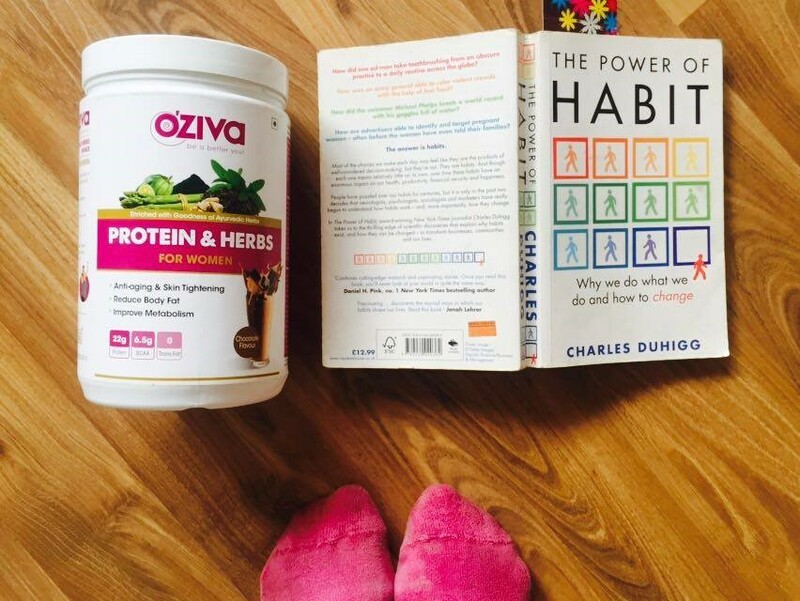 Here is what I found special about OZiva Protein and Herbs ? 1. Wholesome Protein Rich Breakfast Shake - It is easily one of the healthy and wholesome protein rich food option that one can have for breakfast. It gives more than 30 gm of protein per scoop when taken with milk. 2. Blended with Ayurvedic Herbs Specially for Women - The protein is enriched with an ayurvedic herbal blend that is something to watch out for! With the choicest herbs specific to women, ranging from Shatavari (for hormonal balance and vitality), Tulsi (for its purification properties: boosts hair health and even, clear skin tone), and Green Tea Extract (powerhouse of antioxidants to help you burn all that extra flab!) and not only that, but also the goodness of Omega 3 (traced from plant sources to suit vegetarian and jain preferences), this product stands as an impressive choice for everyone. 3. Yummilicious - It’s Yummy and Tasty with its easy mixability and delicious chocolate flavour, it can be easily blended with absolutely anything- be it, dark chocolate or oats or fruits or even nuts. 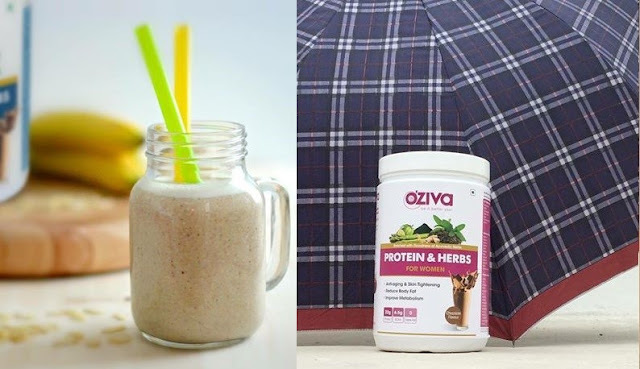 The result is deliciously indulgent yet healthy shake. 4. It takes less than 5 mins to prepare - Perfect on-the-go option when one is running short on time and needs a quick fix for a healthy meal! 5. Low in Sugar - Most importantly- Protein and Herbs shake is low in sugar and yet tastes amazing! If you are trying to watch out your fat% and food habits, this shake will help you be on the right health track. 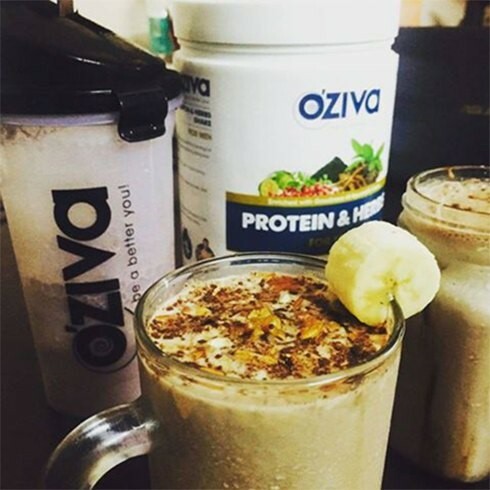 You can read more about the product on OZiva website (Click Here) or Amazon or speak to their nutritionist at 9769298556. Let’s each one of us take a step to be a better us.